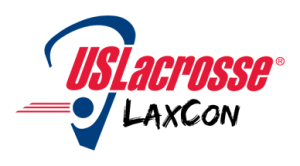 The US Lacrosse Convention will be held January 11-13 in Philadelphia, PA. The event offers dozens of educational clinics for coaches, officials and program leaders, many of which feature lacrosse’s best hosting the sessions. Before and after the clinics, you can take advantage of innumerable networking opportunities that will help you further develop your lacrosse career. Convention info is at uslacrosse.org/convention. US Lacrosse Member Price: $90.00. There are group rates available as well.